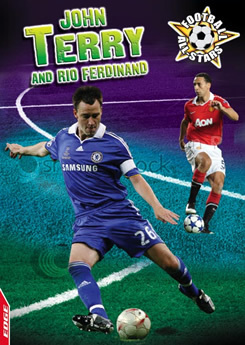 This is a series of short biographies on England’s most talented players, John Terry, Steven Gerrard, Theo Walcott, Rio Ferdinand and Wayne Rooney. Together they form the backbone of the England football team that will lead the nation into Euro 2012 and the 2014 World Cup in Brazil. Each biography charts the player’s rise from unknown young talent to international star playing in the biggest football League in the world. The books are aimed at the 8-14 year old market and are full of facts and trivia that even the most avid football fan will find new and interesting. Football All Stars is an ideal series for parents or teachers looking for books that will captivate young readers.